I have received a lot of commissions lately. Some of these I cannot post photos of yet as the buyers are waiting to give them away for special occasions. 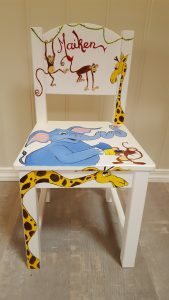 But here are photos of two private commissions I have finished recently. You can find larger photos of these in the commissions-gallery. 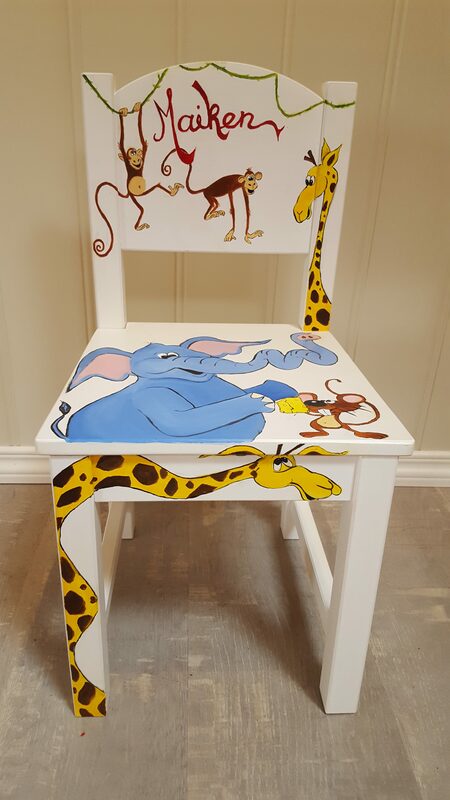 One of them is slightly unusual, it is a children’s chair, and I was asked to paint fun cartoon-like animals on it. 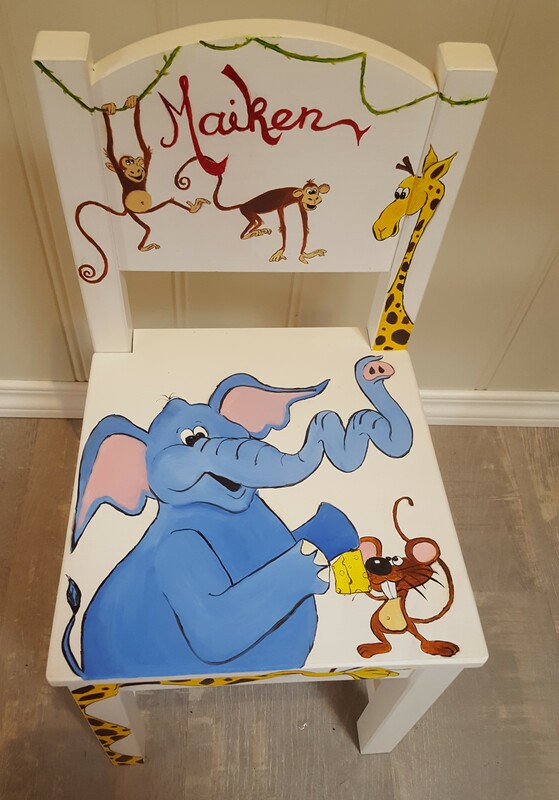 There are more pictures of this chair from different angles in the Commissons-gallery. 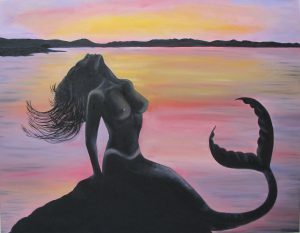 In addition I have just finished a painting of a mermaid. This painting is fairly large, it’s 90 x 115cm. The mermaid is going to hang at a seaside cabin I have been told. If you are interested in commissioning something special for yourself please get in touch for a discussion about possbilities and prices.